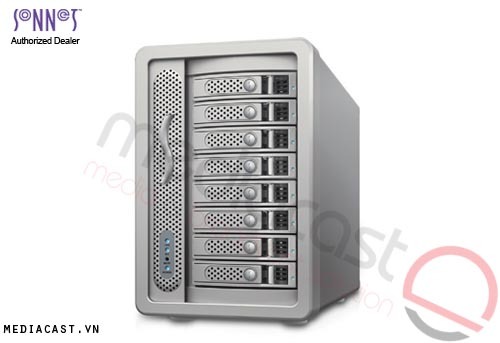 Looking for an affordable desktop multi-drive storage system? Sonnet’s Fusion QR should be on your short list. 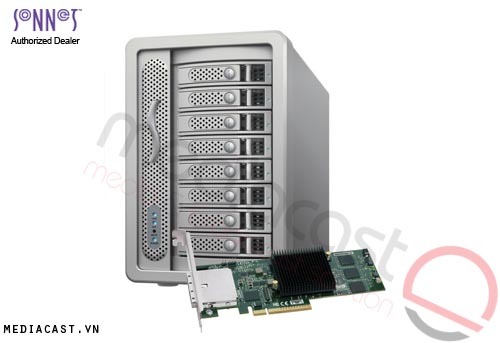 This versatile 4-drive RAID 5 SATA storage system delivers reliable operation, simple configuration, and flexible connection options in a small, budget-friendly package. 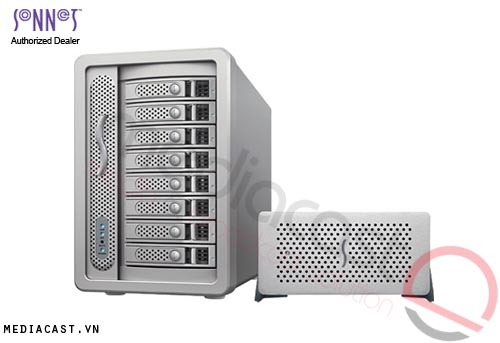 This Sonnet storage system is equipped with a high-performance internal storage controller that manages the enclosed 3.5" hard drives and offers five drive configuration options (including RAID 5). 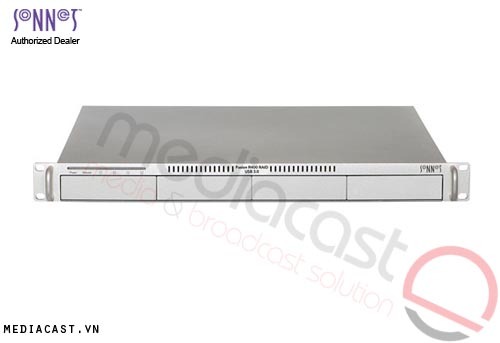 Its USB 3.0, eSATA, and dual FireWire® 800 ports provide you flexibility in connecting the system to just about any computer. The QR even includes a built-in carrying handle to make this rugged and lightweight system highly portable. 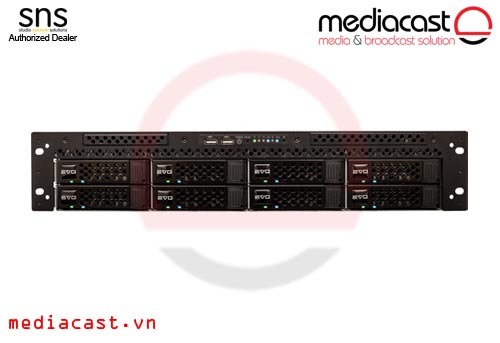 The Fusion QR’s integrated storage controller supports RAID 5 formatting without additional hardware or software, providing data protection in the event of a single drive failure and eliminating the need for a specialized RAID controller card. 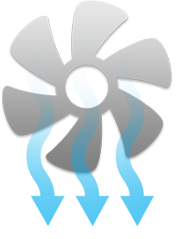 In addition to RAID 5, the QR supports RAID 10, Span, and JBOD(1) drive formatting. 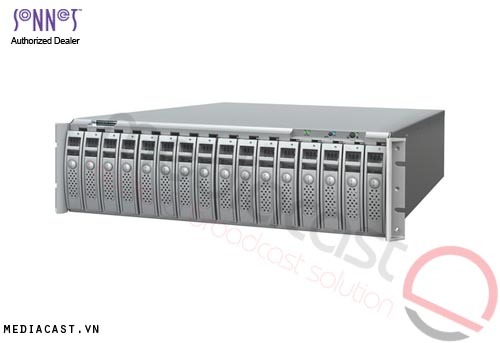 With RAID 10, two drives are combined into a single volume, while the remaining two drives mirror the data on the first two, providing good performance and better file security. Span formatting combines all four drives' capacity into a single, large volume. The JBOD (Just a Bunch Of Disks) formatting option enables more concurrent audio file editing capabilities. Whichever mode you choose, setup is as simple as setting a switch. Drive operation and health status is available at a glance with multi-color LEDs. Connecting the Fusion QR to your computer is simple. This storage system features a quad interface that requires just a single data cable to connect the enclosure your computer, simplifying setup and cutting cable clutter without compromising performance. The USB 3.0 port enables you to connect the system to nearly any computer equipped with USB ports. 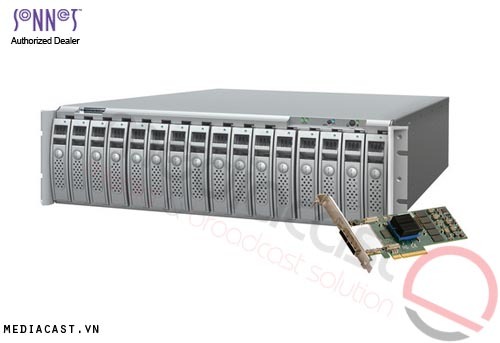 The eSATA port allows you to connect to computers with eSATA controller cards, and it supports Sonnet’s exclusive locking eSATA cables that prevent accidental cable disconnection. FireWire 800 connectivity is provided to support older computers. For your convenience, Sonnet includes the cables for each interface (USB 3.0 with standard full-size A and B connectors, FireWire 800, and eSATA with Sonnet-exclusive locking connectors) so you don't need to buy a new one or search for a spare. In case you want to use an interface your computer lacks, Sonnet offers a wide variety of PCIe, ExpressCard, and PCI computer cards to get you connected. 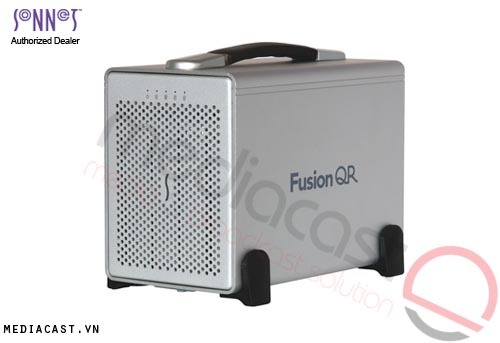 The Fusion QR is compact—it's not significantly larger than the four hard drives it holds. Its outer enclosure is made of extruded aluminum, making it lightweight, yet rugged. A large, built-in carrying handle makes the QR easy to carry, but for times when you prefer to keep it in place, the QR incorporates a slot for Kensington® and similar security locks to secure the system and deter theft. With new, higher-capacity hard drives introduced every few months, your choice of drives continues to expand. 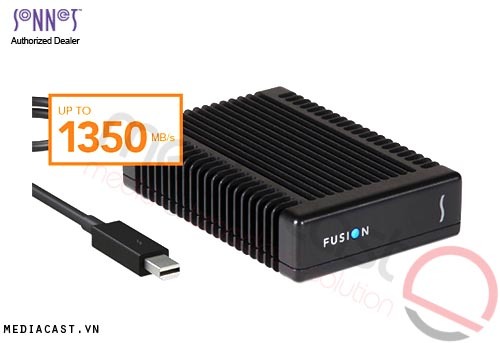 To allow you the widest selection possible, Sonnet sells the Fusion R400 RAID USB 3.0 without hard drives; just purchase the drives that best suit your capacity and performance needs(2).